Thanks to Hurricane Maria, I skipped Halloween for the first time in 23 years. No Thanksgiving either, although, I sat down with the kids and told them the million reasons why we needed to be thankful. I refused to skip Christmas! I found solar Christmas lights online and put them up. There's no shortage of sun here! Last week, we got power at our work places so we're immensely grateful. Can you imagine celebrating 75 days without electricity? Well, home is that way and so it is the reality for more than 60% of Puerto Rico. After the free vaccination clinics we did, we're now spaying and neutering the same amount of dogs, 753 to be exact. It's the reason I'm still helping my husband at the clinic and you barely see me anywhere. Not that I don't miss you, which you know I do like crazy, but there's no time and almost no connectivity to the internet to go on social media as I used to. 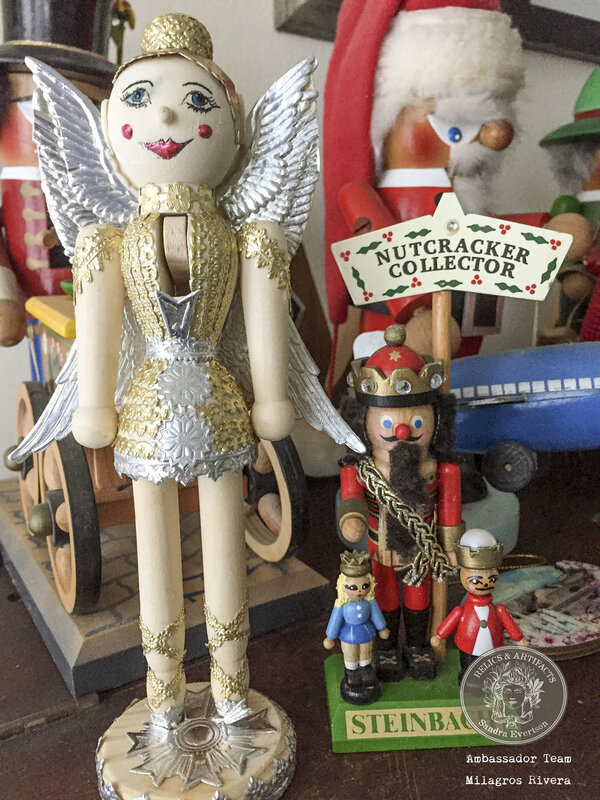 I have collected nutcrackers since my son was a baby and about five years ago, I started creating my own using blank wooden nutcrackers to alter with paper. Last year, I experimented with Relics & Artifacts gorgeous Dresden trim collection to create one. This year, I thought I'd have to forgo the tradition when I spotted a single box at my local K-Mart. It was a girl, a Plum Fairy one at that and I can't tell you how much I enjoyed wrapping her hair in gold! Her face is highlighted by one half of the wings!! Dresden certainly gives me a lot of creative license in how I use them and with their sparkle it's the perfect touch for the holidays! I am not one to do the same type of project idea multiple times. This one was an exception. I embraced a challenge courtesy of a very good friend of mine who wanted a custom necklace. She wanted black with bright, bold colors. Since I never work with black, my natural response was, "Challenge accepted!" As most already know, I do love working with beads. I find something calming and almost therapeutic about gluing each bead into place and watching my sketched design come to life. When the piece is completed, the sense of accomplishment and completion is enough to stoke my creative fires. While the overall design is simple, the bead work is where the magic is with this piece. The creativity begins to flow and new ideas spring forth. The second layer of the necklace that has the cross was one such "AHA!" moment. 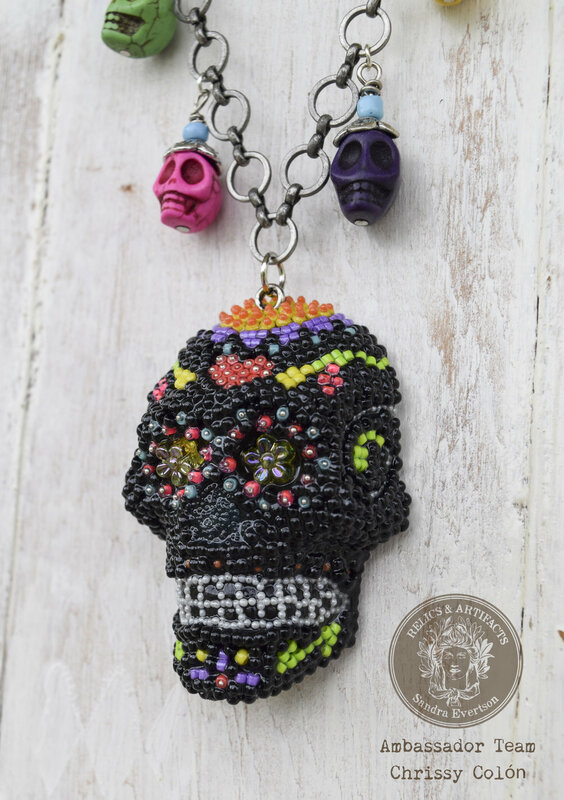 The addition of a few stone skulls on handmade eye-pins stitched together the elements seamlessly. I am the Queen of my own Castle. I am a see-er of beauty all around me. I am a lover of nature. I am a compassionate heart. I am a true art girl. So first things first, these MUSE Art Stamps by Sandra, what can I say?! I couldn’t wait to get them. The ideas have flown freely since I received them. I have so many projects in the works that incorporate all of these amazing stamps. Thank you, Sandra, for beautiful, unique, original designs, and the mojo boost they have given me. Seriously inspiration overload here. This piece was born of pure and simple experimentation that started off with a cuff base purchased from my local craft hobby shop. I wanted this bracelet to have a gypsy-boho flare to it while being able to incorporate the amazing Frida Kahlo Soul Sister stamp into it. I grabbed sari ribbon and fabric scraps and just started sewing them together. Layering them under the sewing needle, not worried about placement or perfection. I really just let the process flow in its own direction. Once all of the stitching was done, I attached this beautiful mosaic of sari ribbon and fabric to the cuff base and framed it with a gorgeous kaleidoscope colorful glass beads. 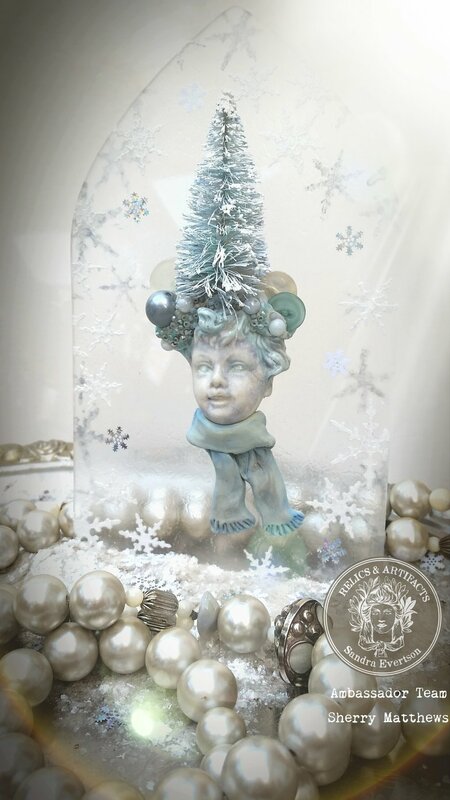 The Soul Sister butterfly is stamped into Apoxie Sculpt, painted, beaded, then sealed with Ice Resin. Let me tell you, it was a process but WOW! I am absolutely thrilled with this piece of wearable art and I hope you are inspired to let go, let your process flow, and create something for wondrous for YOU from your own creative soul. I anticipate this cuff will being worn A LOT. 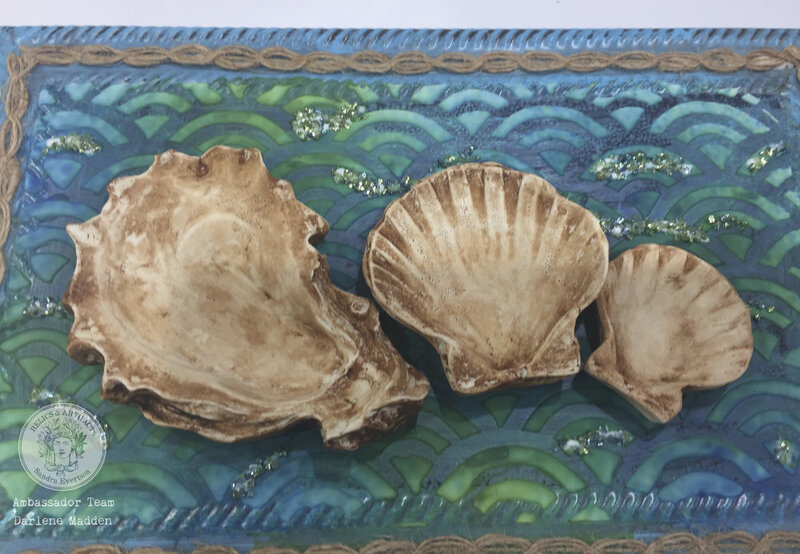 We are constantly amazed by the talent our Relics & Artifacts® Tribe exhibits and from time to time, we like to feature exceptional talent and innovation here on the Muse. Today's featured artist is Carrie Eckert. 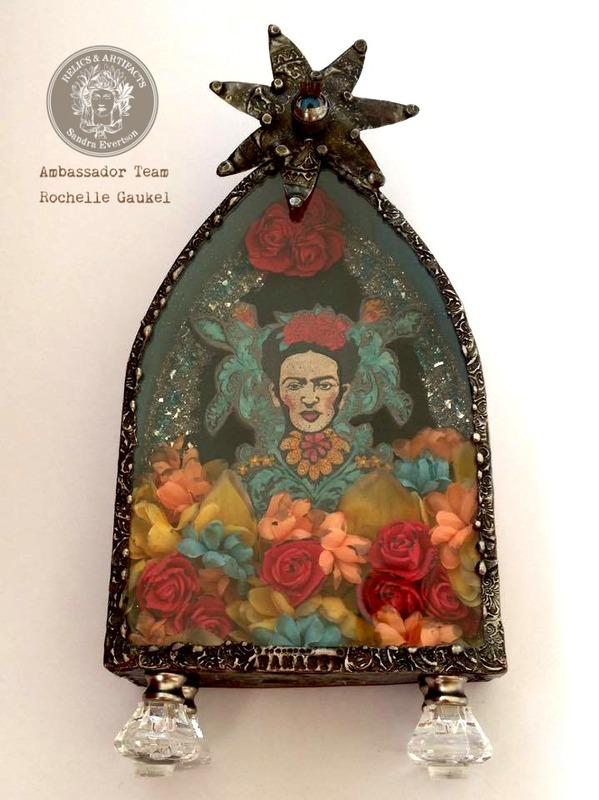 She is widely known in our Tribe for her astounding Frida collages. Let us take a moment to get to know a bit more about Carrie. I have been a compulsive creator of art since I was a little girl. I started by making sand candles and purses as a young child and sold them to a few stores in my town. Later in my early teens years, I studied ballet. During all the time spent in between rehearsals, all the girls would knit. I also learned to quilt at that time. Our ballet instructor, who came from Russia, taught us how to make ballet costumes and headpieces. I also choreographed ballets and taught ballet. After I stopped dancing, I needed to fill that creative void. I taught myself how to paint faux finishes. I also created bead work for clothes. While my children were babies and I stayed home, I began to make jewelry and sold them to stores and to special customers. While visiting Barcelona, Spain one year, I was in awe with the works of Antoni Gaudi. I loved the vibrance of all the colors in mosaics. That was my new passion in the '90's! I began reading everything on how to make mosaic structures with cement. 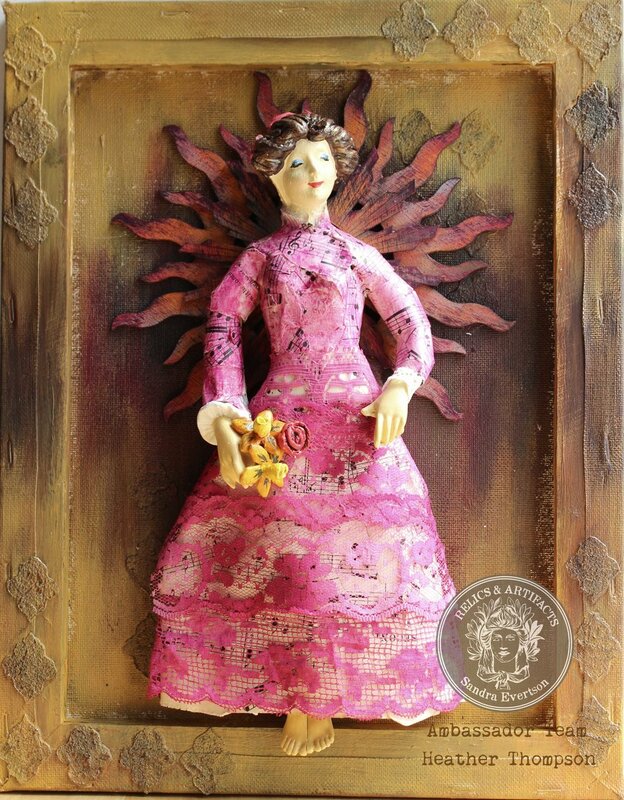 Now I use metal, canvas, wood, plastic, paint and just about anything I find to create mixed media and assemblage art. I continue to branch out and try new things. I am a self taught artist, doing what I love to do, creating unique art stories with a theme. I do not limit my work to one style because I would become too bored. I like to mix up my art to keep myself interested. Carrie continues to wow the senses on her Facebook page, Mosaics By Carrie, as well as on Twitter (@mosaicsbycarrie). She welcomes commission requests and can be reached via her website, Mosaics By Carrie. Thank you for sharing your beautiful art, vision, and creative brilliance with us, Carrie! We look forward to seeing your future works. I can't even imagine a world without books. Books educate and enlighten. They entertain and ease our stress. Books are a ticket to escape to a haven all our own or a way to connect to faraway lands . Books introduce us to innumerable people, both living and dead. They transport us through time and allow us to journey through space. Each journey begins with the turn of a single page. When you curl up with a good book, where does it take you? Welcome to my project collaboration with Canvas Corp Brands. I am sharing the 4” x 6” canvas and paper book that I received from Canvas Corp. The inspiration for the book came from an antique piece I found at an antique market in Arezzo, Italy. 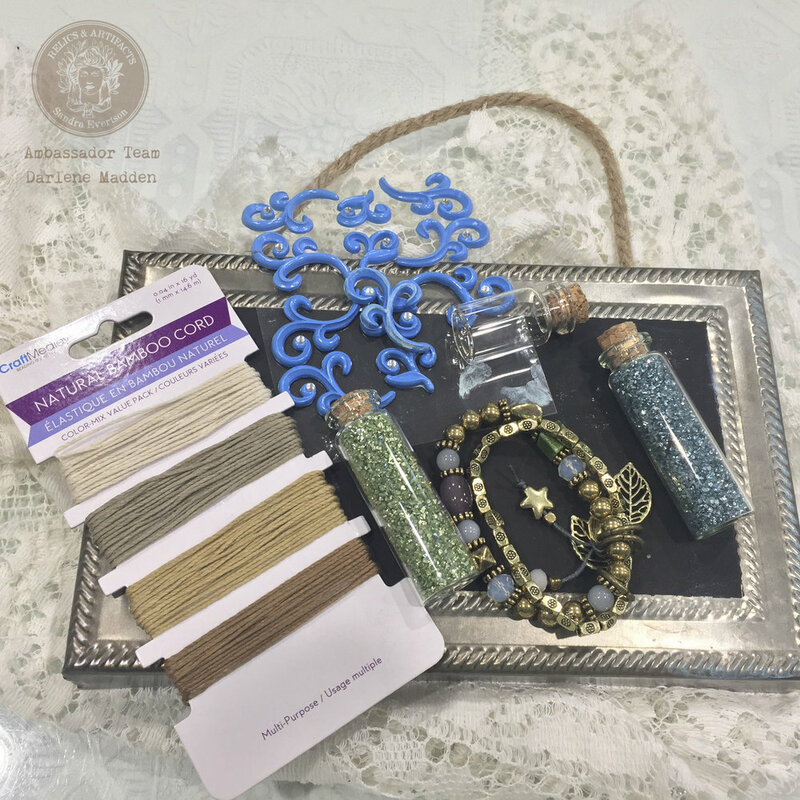 The beautiful blue tone of the jewel went perfectly with the other paint supplies from Canvas Corp. For the centerpiece I used the Rising Spirit III set from Relics & Artifacts for the front cover. I have been watching the television show “Versailles” and can say that it had a lot to do with the inspiration of this piece as well. The opulence and grandeur of that time truly came out when I started putting this book together. The blue and gold theme resonates from the decor of the Versailles property. Velvet, lace, gold gilt, sparkling jewels, tapestries and ancient book pages are all the things that this book is made up of. I could imagine it sitting atop an ornate side table in one of the grandeur rooms of Versailles. Or perhaps on the night table in the kings bedroom. The Tattered Angels glimmer glam glitter paint was all I needed to add that extra color and sparkle to the heart, wings and flame after it was painted with an acrylic gold paint. 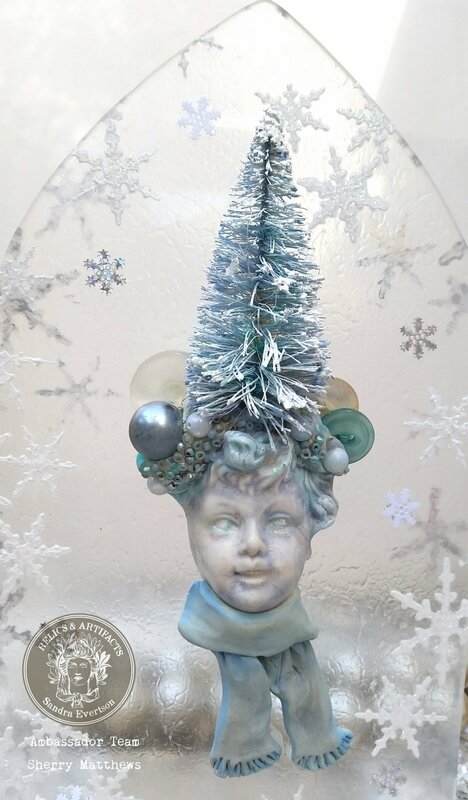 The blue of the glimmer glam paint got into all the crevices of the piece and added another dimension that worked well with all the jewels and charms on the book spine. The paint was also added to the braided trim around the book that was originally a cream color. The gold glimmer mist was added to the heart and the inside book pages for that “aged” look. I hope you enjoyed my project collaboration with Canvas Corp Brands. Their products blend well with the Relics & Artifacts line and are so easy to use. Don't forget about our giveaway! Keep reading below for more details on how to be entered to win. Today, we have our first Ambassador project for our match up with Canvas Corps Brands! Monica ushers in this collaboration in true Relics & Artifacts® style with this jaw dropper! Let's hear the inspiration and story straight from her! This piece was created for our Collaboration with Canvas Corp Brands. When I received my package I knew what I wanted to do. Creating this piece, I was imagining reading the story inside the pages of this old vintage book. The story of a sailor turned pirate. A pirate who fell in love with a beautiful mermaid. The mermaid followed his travels all across the ocean’s of the world. One adventure after another they fell deeper in love. As he aged over the years, she remained young and beautiful and magical, as did their love. The pirate and the mermaid spent the last of the pirate's days together, away from the rest of the world. The pirate saved the mermaid’s tears in an old glass vial to be buried with him as a way to keep her forever love. Monica has also put together a Snapguide tutorial so that you may recreate your own inspired story of love. Don't forget that there's a giveaway at the end of this month!